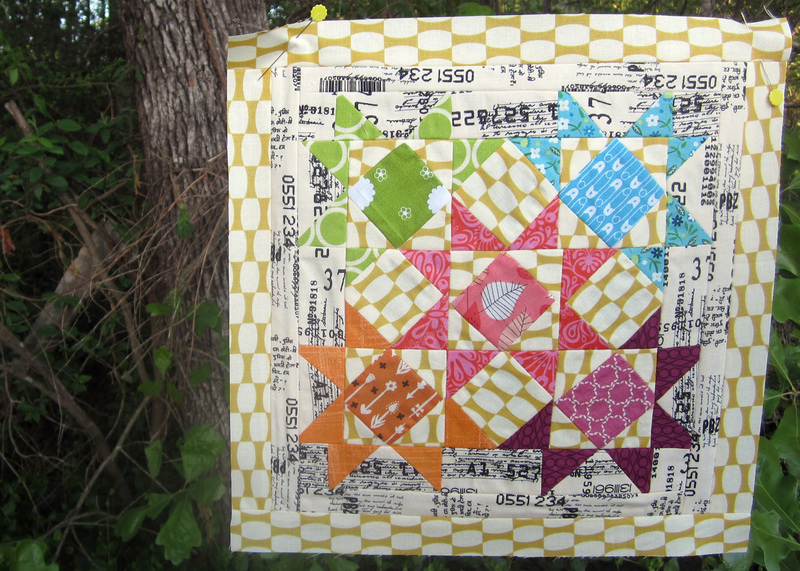 I have several swaps and quilting bees wrapping up at the end of the year and I wanted to do something FUN and NEW next year. I thought a Handmade Birthday Club would be perfect! 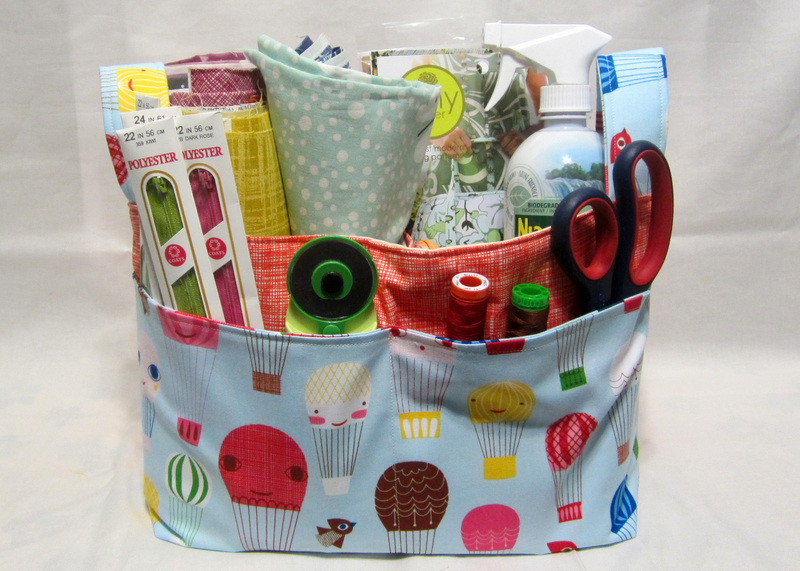 You will be organized into a group of 12 fellow Handmade Birthday Club members. Every month, as long as someone in the group has a birthday, group members will make and send a small to medium handmade item to the birhtday girl. In total, you will be gifting 11 handmade items and during YOUR birthday month, you will be receiving 11 handmade items! How FUN! Primary gift must be a finished handmade item. If you wish, you can include extras (stickers, magazine, birthday girl’s favorite candy) but extras are NOT required. gift “size/value” is small to medium. 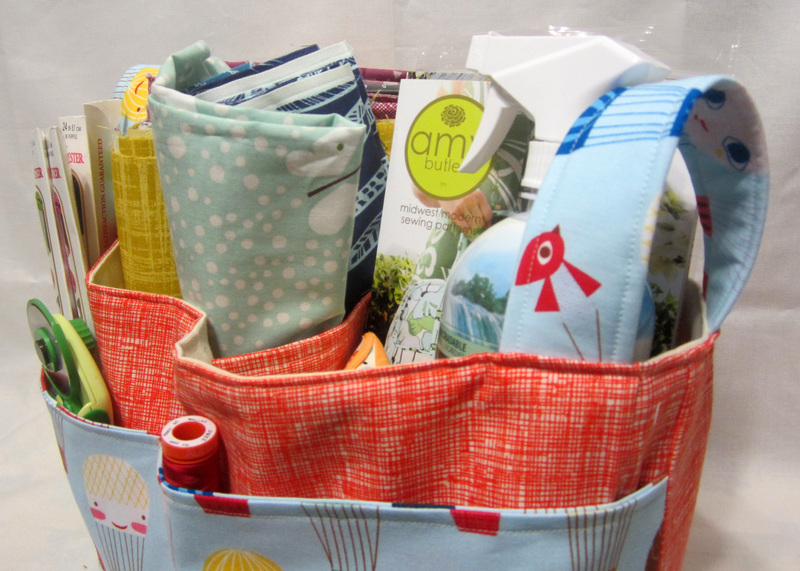 A mini-quilt, coaster set, soap, notecards,pouch etc. are all acceptable. It doesn’t have to be sewn. Make what you like and use what you have! Signups end December 1st, 2013. Handmade Birthday Club will start in January, 2014. Event communication will be via e-mail. This entry was posted in events on October 4, 2013 by susannah kate. 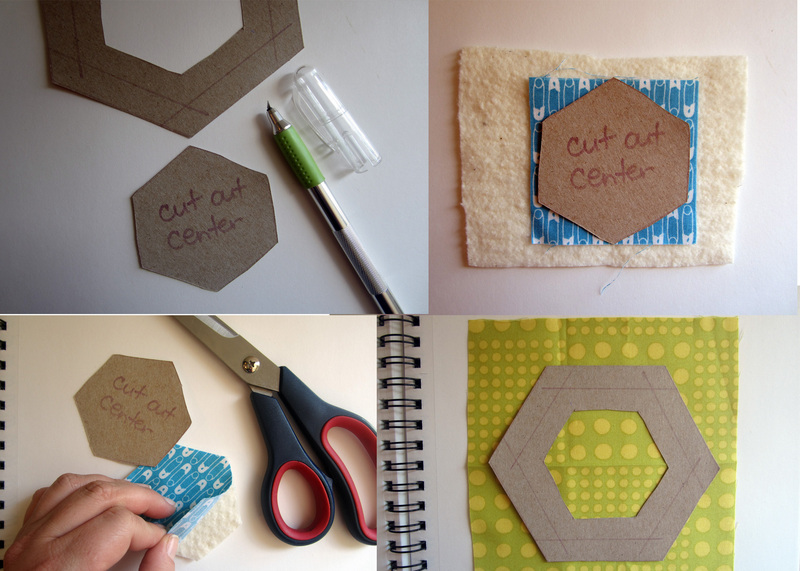 Cut out your printed hexagon or trace hexagon to printer paper then cut out. I’m using a cardboard hexagon I had on hand instead of printer paper. Cut out a large panel of your cereal box. 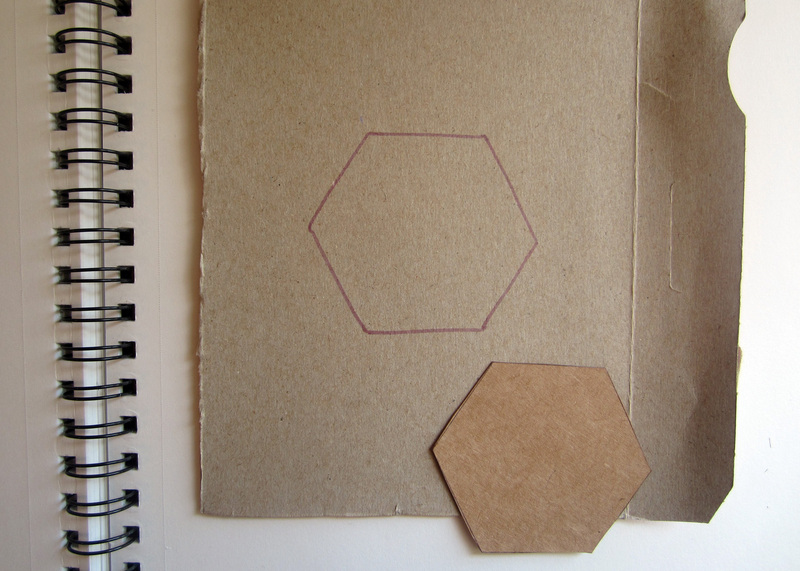 Trace the paper hexagon to center of cereal box. 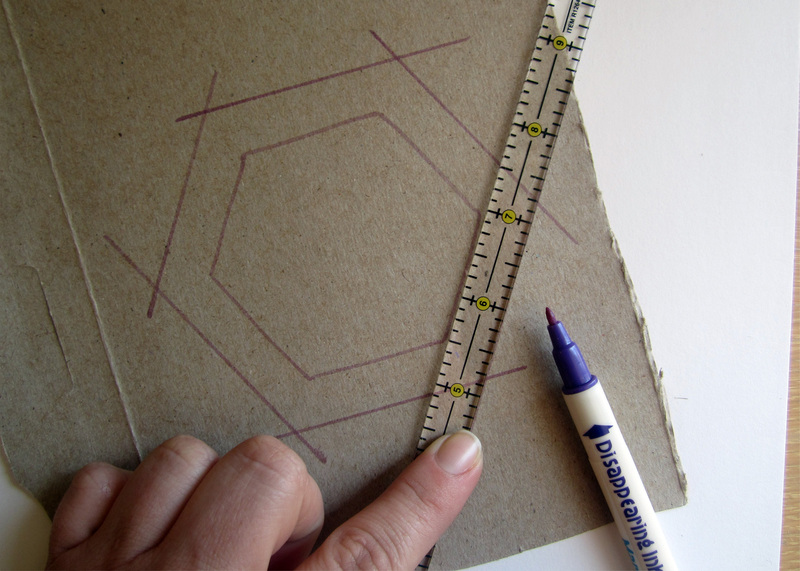 Use your marking tool to trace 0.5” around each side of hexagon. 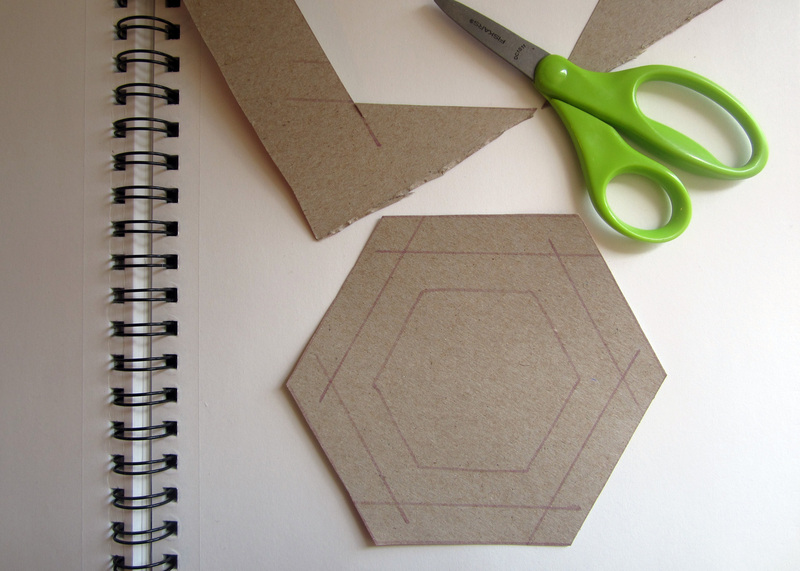 Cut out your hexagon along the lines you just traced. 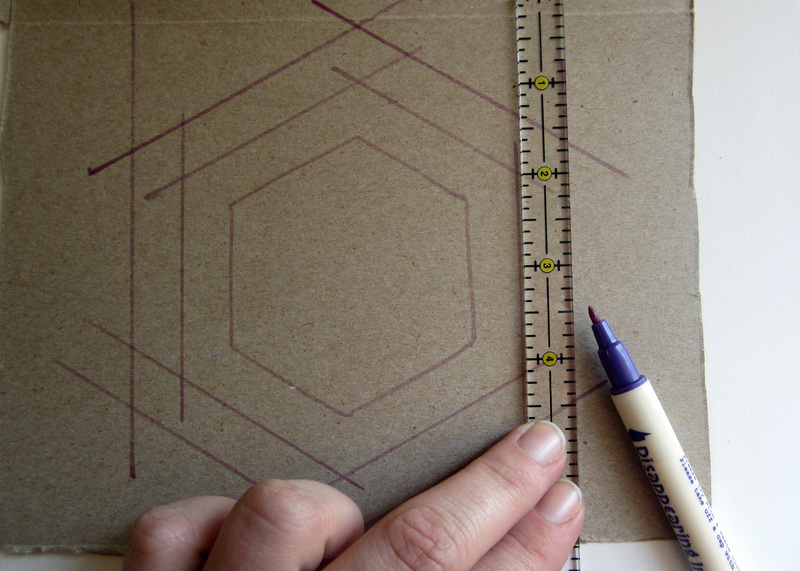 Using the X-acto knife cut out the center hexagon. 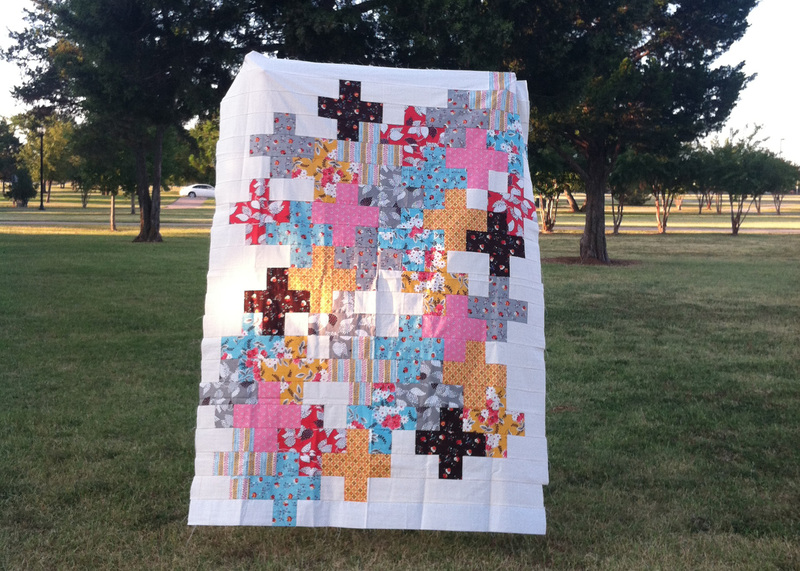 This piece will be your template for cutting out your center fabrics and batting pieces. The larger hexagon piece will a template for your border/back piece of fabric. 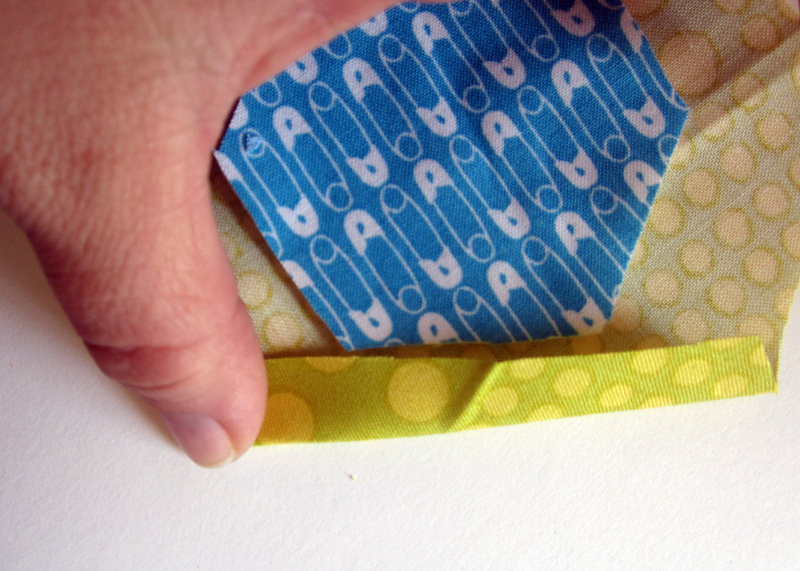 Using center template, cut your center fabric and batting. 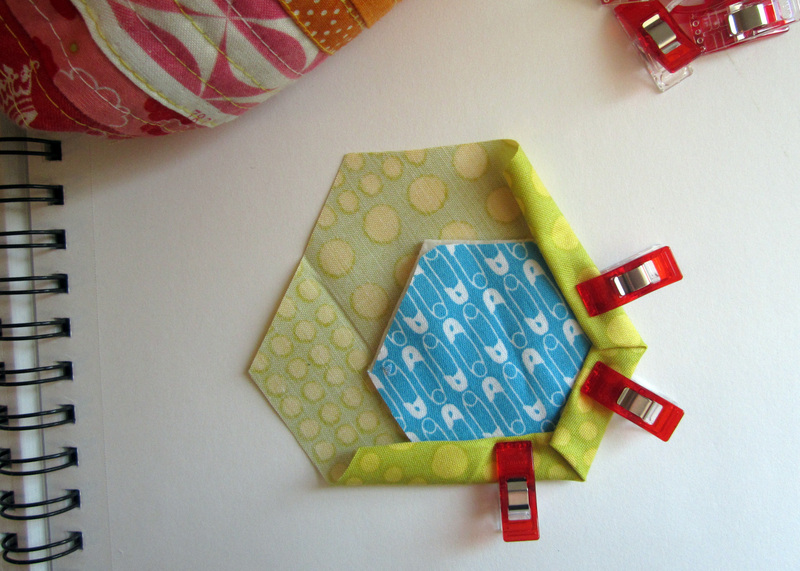 Using larger hexagon template, cut your back/border fabric. 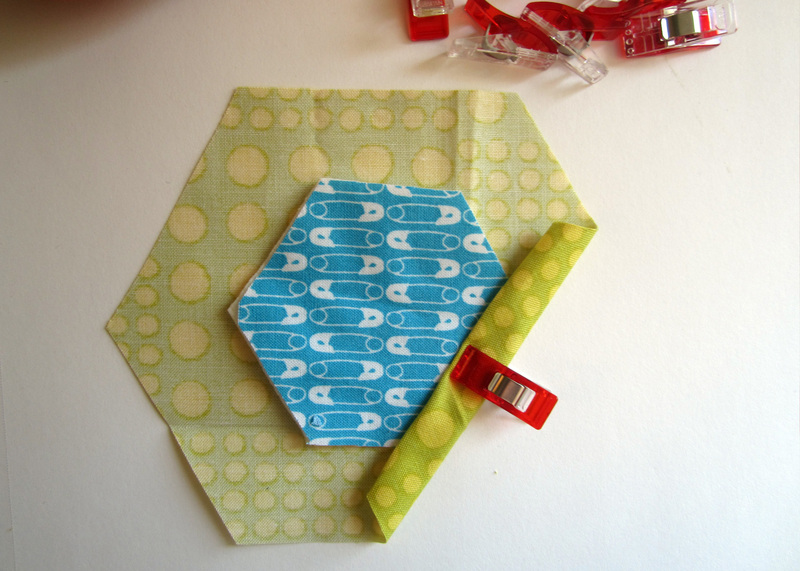 Lay the larger hexagon wrong side up and put your large template over it. 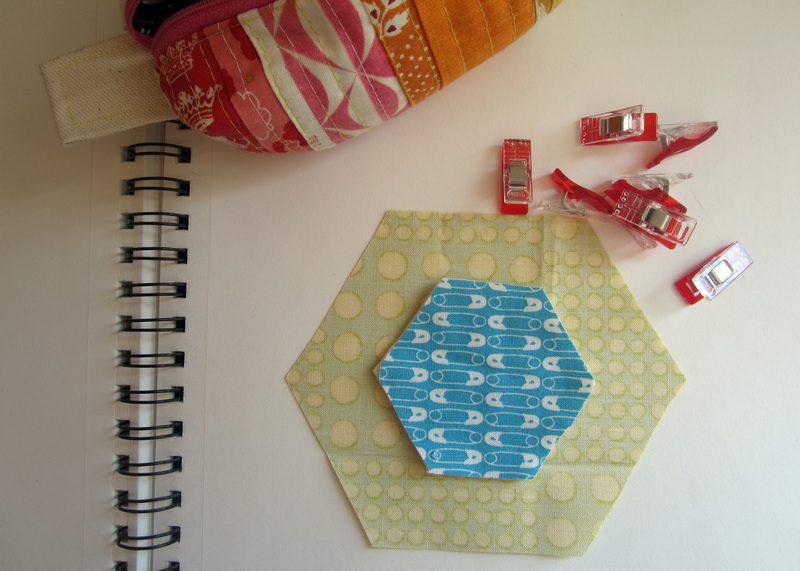 Then lay your cut out batting and fabric pieces right side up in center (this helps me find the center of the hexagon. Now, simply remove the larger template. 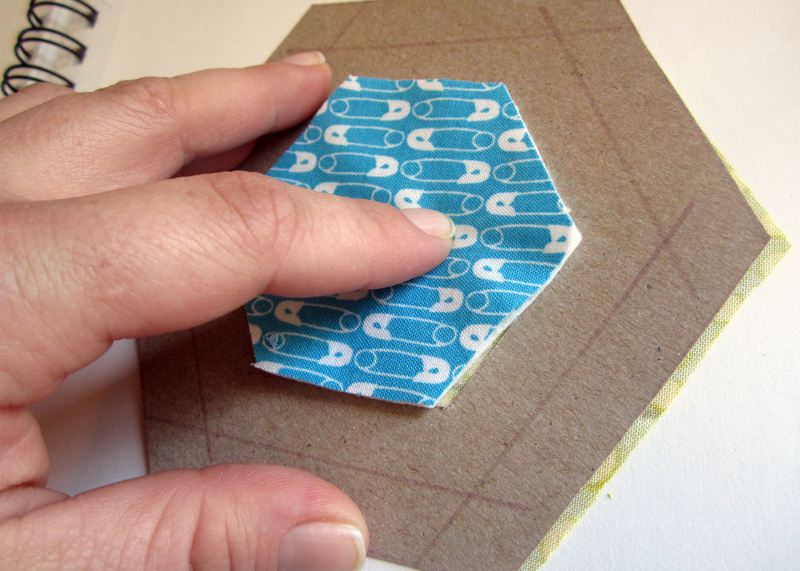 Fold one side of your large hexagon 0.5” (or to raw edge) towards the smaller one. 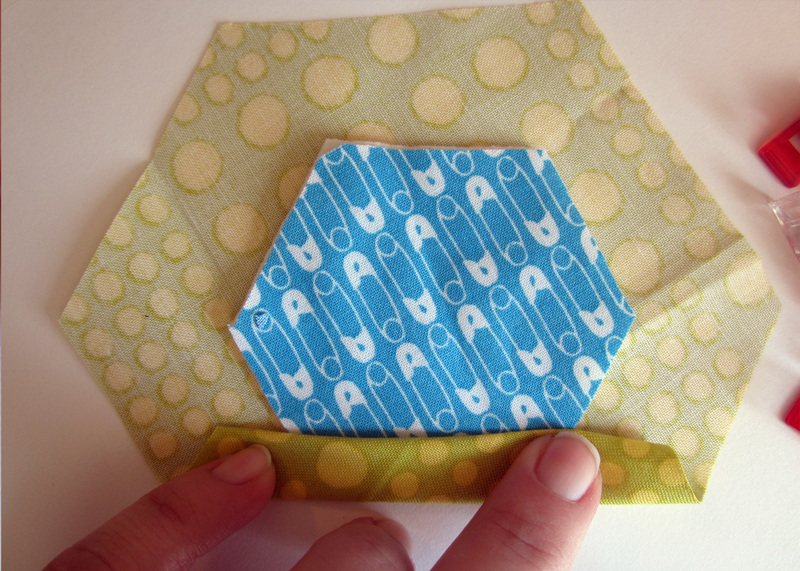 Then fold again so that your second fold covers the smaller hexagon, creating a 0.5” border. 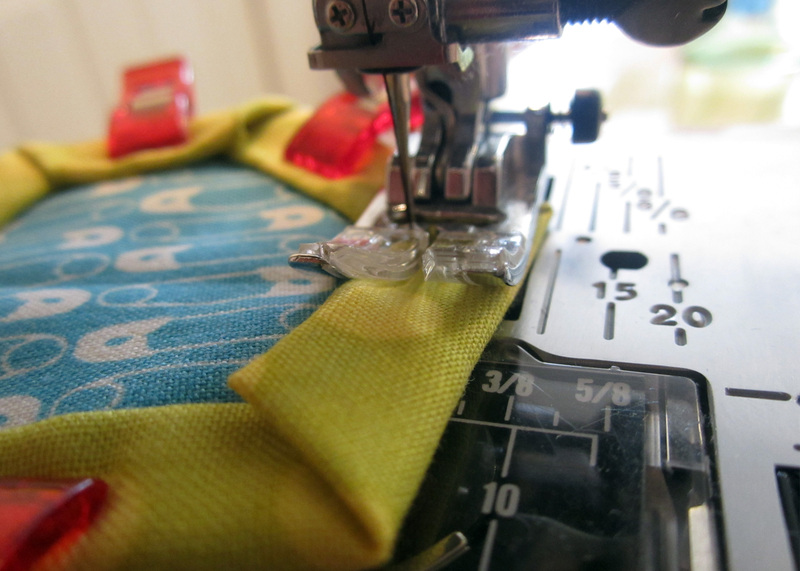 Clip or pin in place. 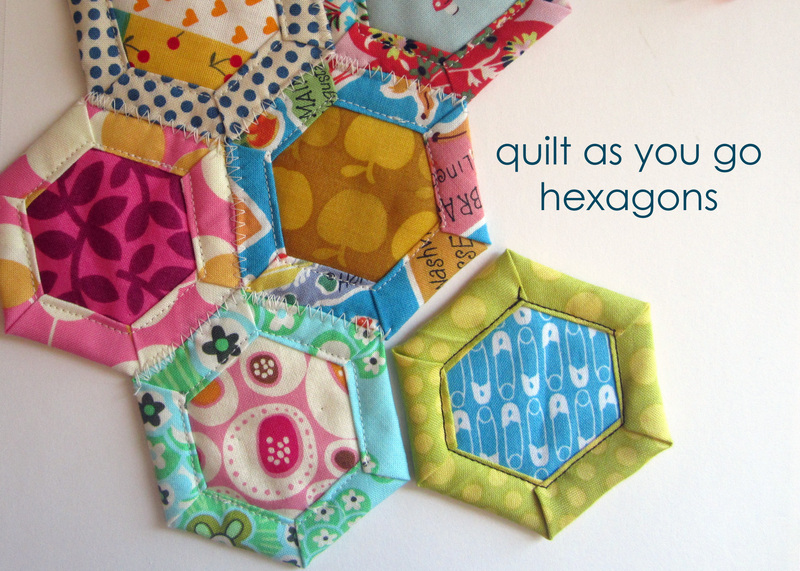 Continue this around your hexagon until all sides are folded and clipped. 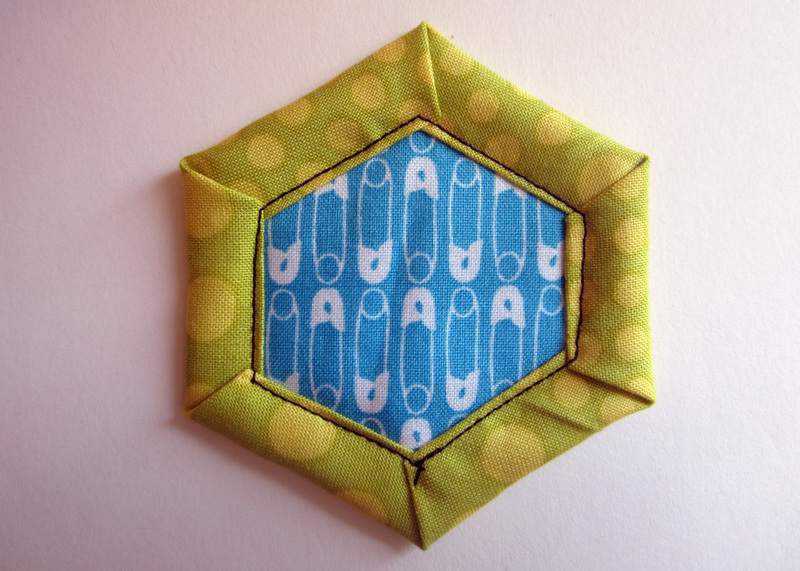 Take the hexagon piece to your machine and stitch through the border as close to the center hexagon as you can. Back stitch at the end. Trim threads and you are done! 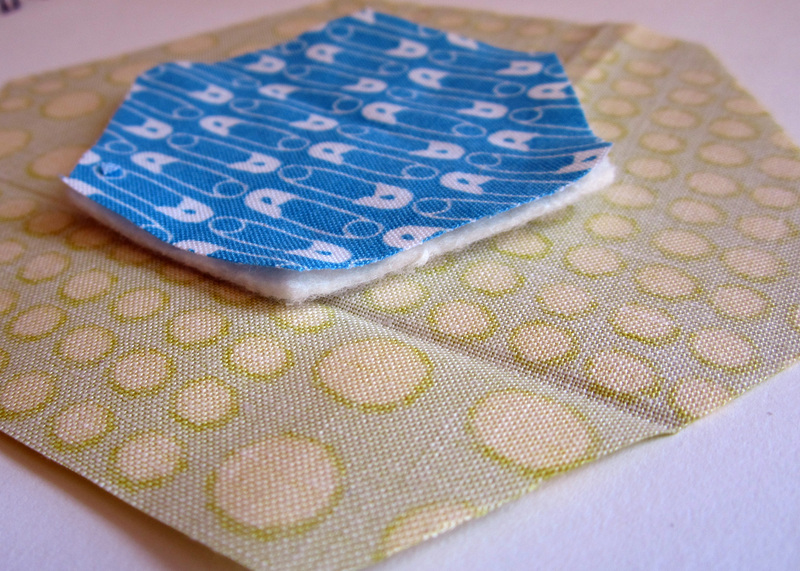 I used a zig-zag stitch to join together, however, on my next project I am going to hand stitch them together. I think it will create a cleaner look! Hope you enjoy! This entry was posted in tutorials on April 30, 2013 by susannah kate. 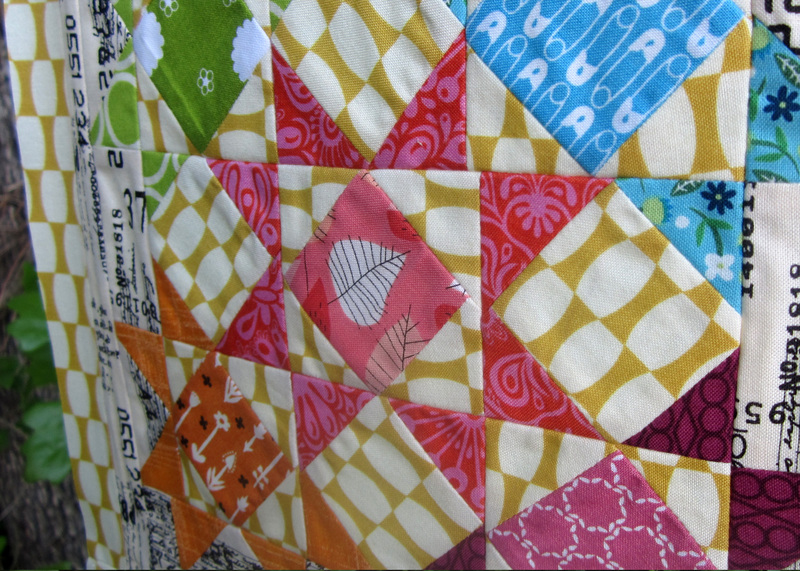 I totally drank the kool-aid and joined the InstaGram scrappy trip around the world quilt-a-long. I usually like doing my own thing but admit I found community and a sense of belonging with other like-minded quilters during this project. These blocks were highly addictive. I’d make one block and think “ok, I’ll take a break after this one” only to find myself having to make at least 2 more. 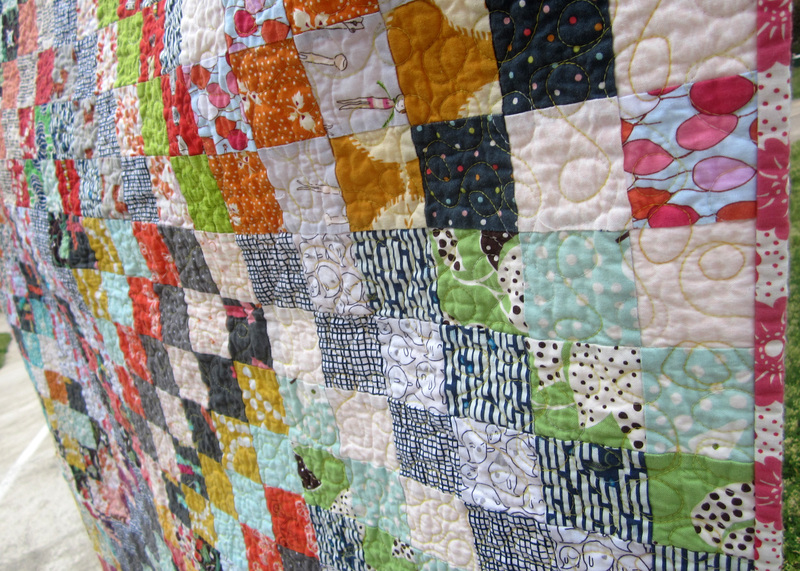 I used some of my favorite fabrics and scraps in this quilt. When I look at it I find a new color combo or sweet detail that lifts my spirits! 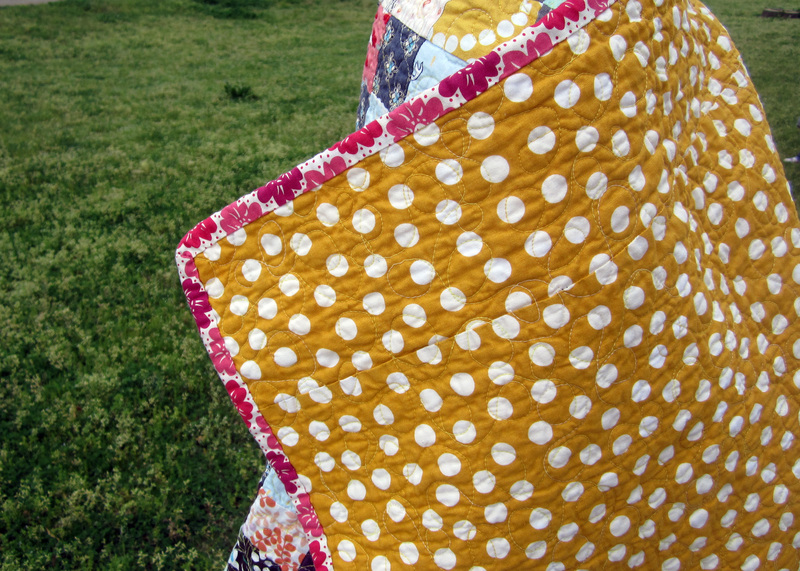 The back is a perfect yellow polka dot, pieced together to make it fit. The hand sewn binding is finished using the ladder stitch. Scrappy Trip Around the World is the first quilt my new Juki 2010 had the pleasure of stippling. The Juki has amazing speed and power. I like it. A lot. 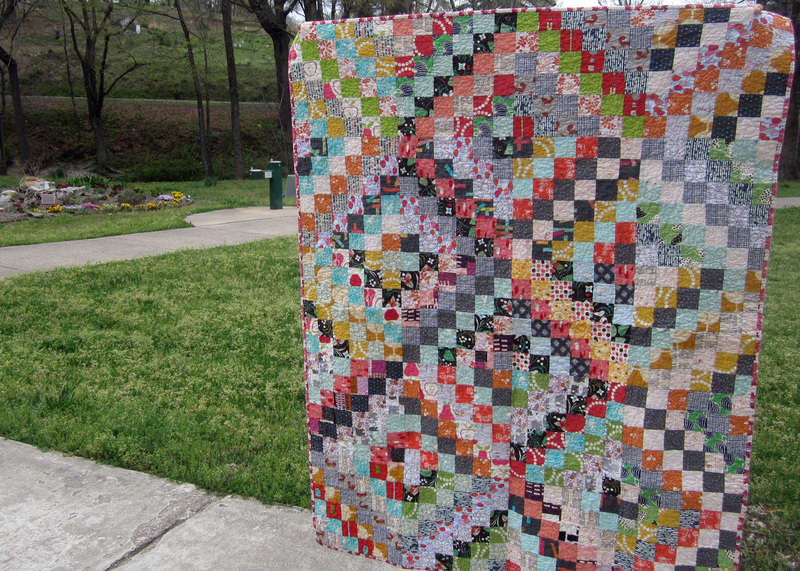 This entry was posted in finished quilts and tagged Fiber Arts, Juki 2010, Quilt on April 7, 2013 by susannah kate. Easy to follow instructions made this project enjoyable and ultimately satisfying! Initially I wanted to do the whole basket with the hot air balloons but accidentally cut the pocket size instead of the exterior size. Guess what?! It turned out even better than planned. I like happy accidents! The canvas interior added stability and I made fabric handles instead of the cotton webbing option (the pattern has both options). Next time I think it would be cute to quilt the pocket and there will definitely be a next time. 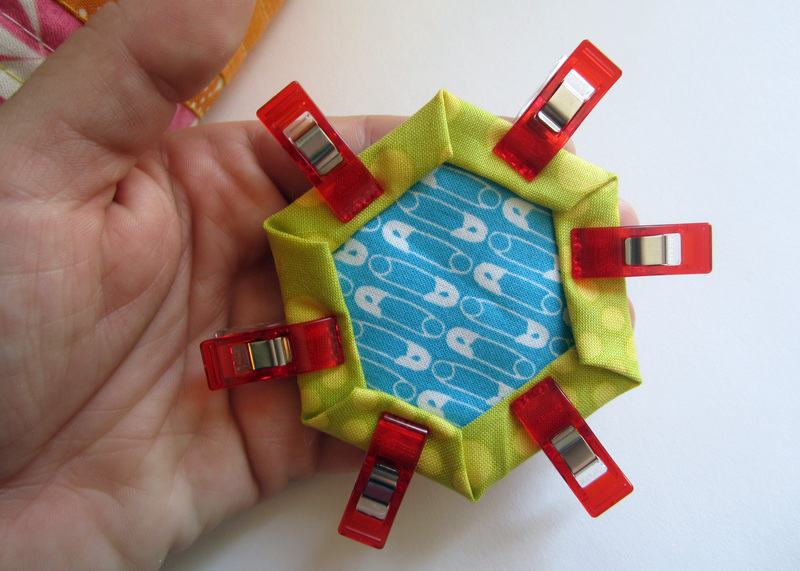 This is a great ‘go-to’ project for gifts! 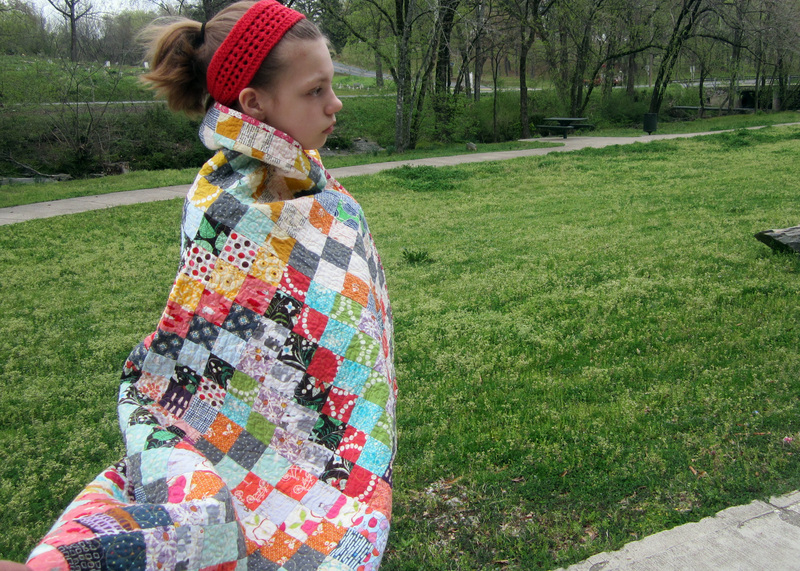 This entry was posted in sewing and tagged fabric, hot air balloons, sewing on March 17, 2013 by susannah kate.